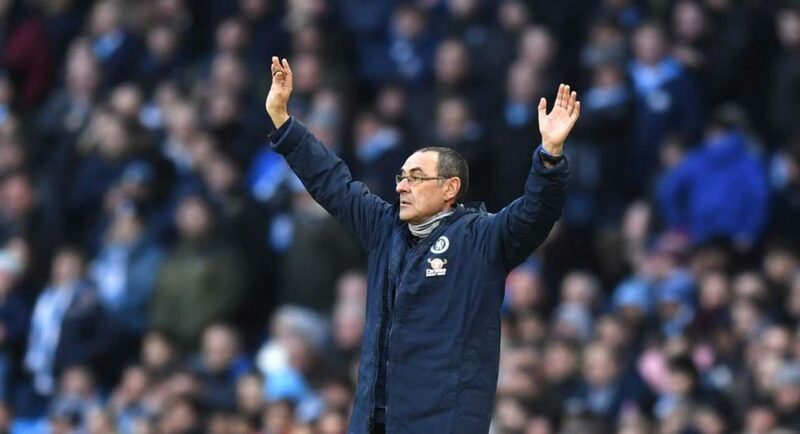 Maurizio Sarri’s Chelsea future will be decided over the next fortnight, even though he may not be dismissed until the summer, according to the Telegraph. Sarri is thought to be hanging by a thread following our 6-0 loss to Manchester City. It’s safe to say that losing 4-0 to Bournemouth the week prior wouldn’t have done him any favours. Though we firmly believe that he’s the right man to take us forward, patience has never been one of Roman Abramovich’s strong points. Abramovich is thought to already be considering Sarri’s position at the club, perhaps through fear that his lack of ability to motivate the dressing room is not something that he’s going to be able to turn around. Sarri has two weeks to convince Roman, according to Matt Law of the Telegraph. Chelsea have a rather tough run of fixtures coming up, which will do Sarri no favours in his efforts to prolong his time as our manager. It appears as though his future will be decided once-and-for-all over this period, even if the club will hesitate to take action until the end of the ongoing campaign.